No matter how efficiently automated machines perform, some tasks are impossible without manual assistance. No machinery is as flexible as some of the simple and humble hand tools. And often, it’s these that yield the desired results, even in the high-tech world of electronics manufacturing. It has been proven over decades that hand tools are essential in electronics assembly, to tackle myriad tasks with more finesse and accuracy. Any project or DIY activity cannot be done without hand tools, and in large scale manufacturing, there are critical areas where advanced machinery cannot reach or operate. In such instances, simple hand tools are more efficient. Now, radically improved versions of hand tools make certain tasks easier than ever. And today, hand tools are designed with more caution, with a focus on improved safety, quality, better functionality, cost-effectiveness, etc. Manufacturers are constantly striving to innovate by designing features that quell discomfort and exhaustion while handling these tools. So let us review the must-have basic hand tools, look at how current designs incorporate safety precautions, assess the importance of these tools and consider some maintenance tips. As the name suggests, such tools are powered by hand, and generally do not need electric power for operation. They are typically available in small sizes. They are effective tools for any repair, fixing and troubleshooting work. What is most fascinating about hand tools is that they can be used to perform the smallest of tasks most effectively. Additionally, they are relatively cheaper and safer than power tools. There is no question that the list of tool choices has increased dramatically over the years. 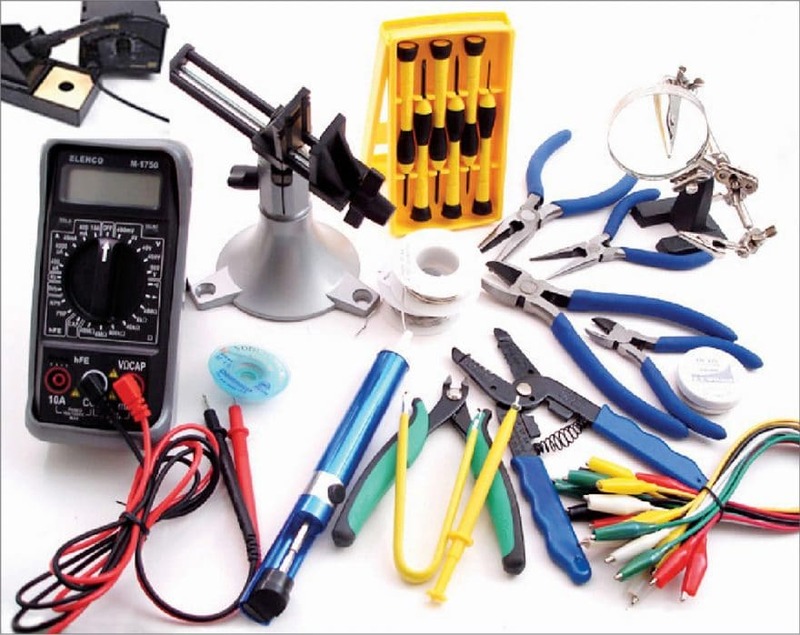 Tools now come with more advanced designs and functionalities, which are ideal for electronics assembly work. It is important to figure out what tasks these tools perform before randomly collecting them. We need to narrow down the list to the commonly used tools for any type of project. Soldering iron: This has a heated metal tip and an insulated handle. It is recommended to use a small 15W-30W soldering iron made for electronics along with a soldering station. A soldering iron requires regular maintenance and cleaning to ensure a longer service life. If the soldering iron gets dirty, it results in untidy solder joints. Wire strippers: These are essential for stripping electrical insulation. They are also used for stripping the ends of an electric wire in order to connect it to other wires or to terminals. They are usually made of steel, and available in various shapes and sizes. Pliers: Side-cutting pliers and long-nose or needle-nose pliers are two important tools for electronics work. They help in wire bending, holding components, straightening feeble parts, assembling circuit boards, etc. During soldering, they are used as heat-sinks to protect heat sensitive components. Screwdrivers and nut drivers: These are essential for various jobs that involve fastenings, inserting screws, etc. Nut drivers help to tighten nuts and bolts, and can be manoeuvred into tiny places that cannot be reached by ratchets and wrenches. Tweezers: These are handy for placing small electronic elements on printed circuit boards. They are suitable for use with voltage sensitive devices, especially of non-metallic and non-static materials. Besides, they do not damage or scratch the components. Drill bits: These are cutting tools to remove materials and create holes. Materials that are used to make drill bits are solid carbide, cobalt steel, high speed steel (HSS), etc. They are available in various sizes. Pocket knives: These are very useful tools to have to cut wires, PCBs or remove some copper from the printed circuit board. Flashlight: It is important to have this to light up tiny areas that are difficult to see clearly. 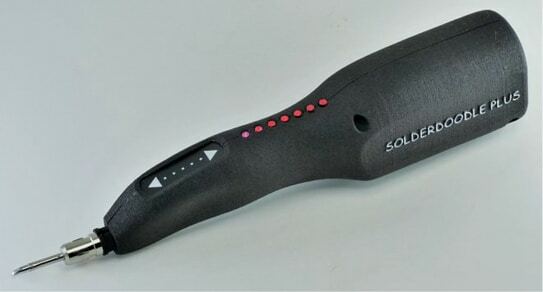 Solder sucker: This tool enables the solder to be detached from a joint. The design aspects of hand tools should not be relegated to the background – special user-friendly and safety features should be incorporated. The right and smart designs can solve many safety issues such as avoiding injury to the user. The safety features should include a sleep mode that disables the unit when not in use, adjustable power with touch control, low-battery warning, heat indicators for tools like soldering irons and glue guns, etc. Integrating ergonomics principles in the design minimises risk factors, and also enhances overall efficiency and productivity. The handles of the tools should be soft and comfortable to grip. Also, a glossy paint or high polish should be avoided on handles to prevent discomfort and frequent slipping. Materials used should be non-porous, non-slip and non-conductive to enhance safety. Other design aspects to consider are a contoured thumb area for easy control and colour-coded handles for easy tool identification. Spending a little extra time before selecting any tool can save many regrets. When we opt for wrong tools that are not ideal for a project, it can result in poor productivity and worse, inflict serious injuries. We need to check and evaluate the characteristics of the tools, in terms of span and size, orientation, functionalities, etc. The material of the tools also determines their productivity to a great extent, so we should figure out what type of metal is being used. When the material is of inferior quality, the tools tend to be brittle. The weight of the tool also plays a significant role in increasing or decreasing productivity —a lighter weight is always recommended. Besides, multi-functional sets that come with diverse capabilities, along with labelled handles for easy identification and a comfortable grip, are ideal for any work. Such tools are light and easy to carry anywhere (if their weight is balanced) instead of carrying various tools. Such sets usually comprise knife blades, pliers, spring loaded wire cutters, a serrated knife blade, spring loaded needle nose pliers, scissors, a wood/metal file, a small screwdriver, a wire stripper, etc. Unlike power tools, hand tools do not require constant and close attention. Even if they are not used for years, they just need a little bit of cleaning and lubricating prior to using them again. Good quality hand tools are meant to last for a very long time. However, appropriate cleaning and lubricating with a light film of oil must be done from time to time. The possibility of harmful corrosion or breakdowns is lower compared to power tools. For insulated tools, check regularly for any wear or damage of the insulation. It is very important to keep them dry, clean and contaminant-free; otherwise, their insulating properties get diluted. Here are brief descriptions of a few of the latest hand tools that are worth possessing for work related with electronics. 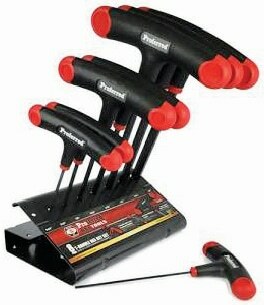 Key features: This is a multi-functional set that has eight different tool pieces. It is designed to maintain stability when working with small or large components, and is made from hardened chrome vanadium steel to maximise performance. 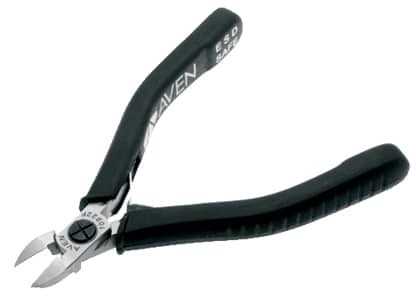 Key features: Aven Stealth cutters are manufactured from high carbon stainless steel. They feature a non-reflective satin finish, a screw-joint for perfect alignment of the cutting blades while minimising friction, induction hardened cutting edges that are produced using a proprietary grinding process to ensure edge angle accuracy, and ESD safe ergonomically designed grips. With a hardness rating of 55 HRC, the steel blades are less prone to becoming dull and brittle over time. Key features: This is a cordless all-in-one soldering iron, 3D print finishing tool and wood burning tool, combined. It is capable of providing 60 minutes of operation at 500 degrees Celsius on a single charge, and can be recharged using any available USB port. Each kit comes complete with a seven piece tip set that includes conical, chisel, wood burning, needle, blade, spade and scooper tips, along with a removal tool. Key features: This contains 56 different kinds of bits made of chrome-vanadium steel to open and work on small or medium-sized electronic components. The tool has an ergonomic press-and-push design, and is comfortable to hold even for long-time use. A flexible shaft is included, which is great for stereo work as well as other large electronics projects for which the screws are not on the surface.